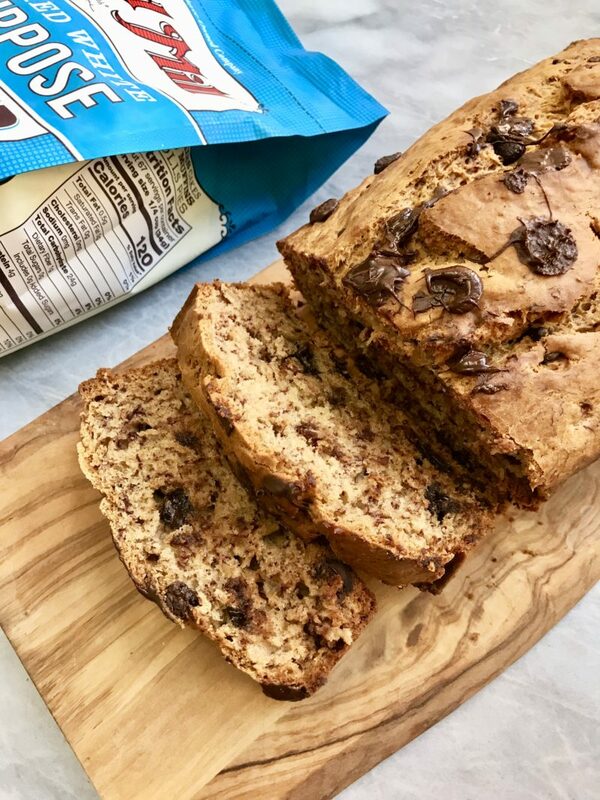 Vegan Chocolate Chip Banana Bread that is 100% vegan, nut free, and takes only 10 minutes to prep! This bread is super yummy & moist as well. Made in partnership with Bob’s Red Mill. I am so excited because I am finally coming out with a recipe that is not savory! I really have barely released anything sweet (unless its the holidays) and this will be the first of many! I decided that for my first sweet recipe it would only be right to come out with one of my favorites: chocolate chip banana bread! I also wanted to come out with a recipe that didn’t require a whole bunch of wacky steps but is actually quite easy but still super delicious! For the base of this recipe, I used the Unbleached Bob’s Red Mill All Purpose Flour . This is the flour I use for just about any recipe that requires flour, and it works perfectly in this recipe as well. 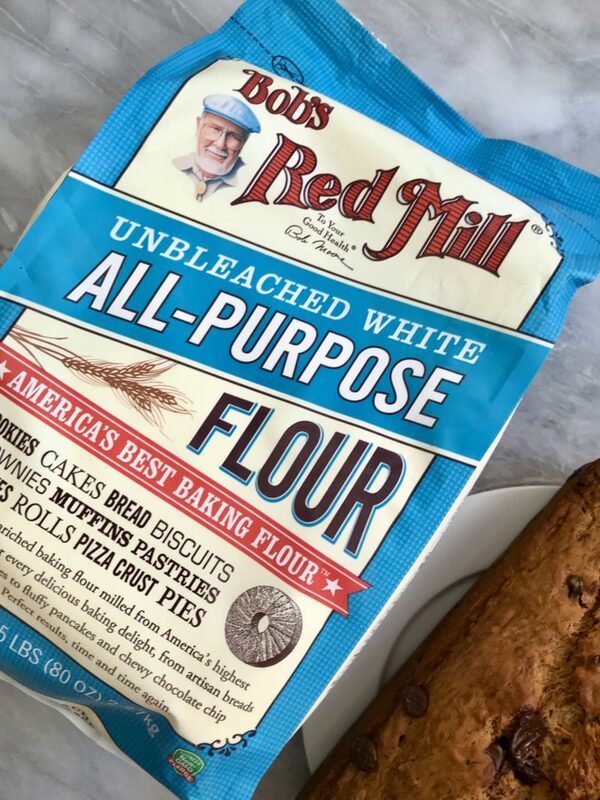 I use just about every Bob’s Red Mill product I can get my hands on, because they’re so easily accessible and I know exactly what I am getting. Bob’s Red Mill also makes a ton of other flours & baking products, oats, grains, seeds, etc. I remember when I had my first banana bread. My cousin made some and brought it over when I was a kid and I remember just falling in love! Later on I had it with chocolate chips and my mind was absolutely blown! 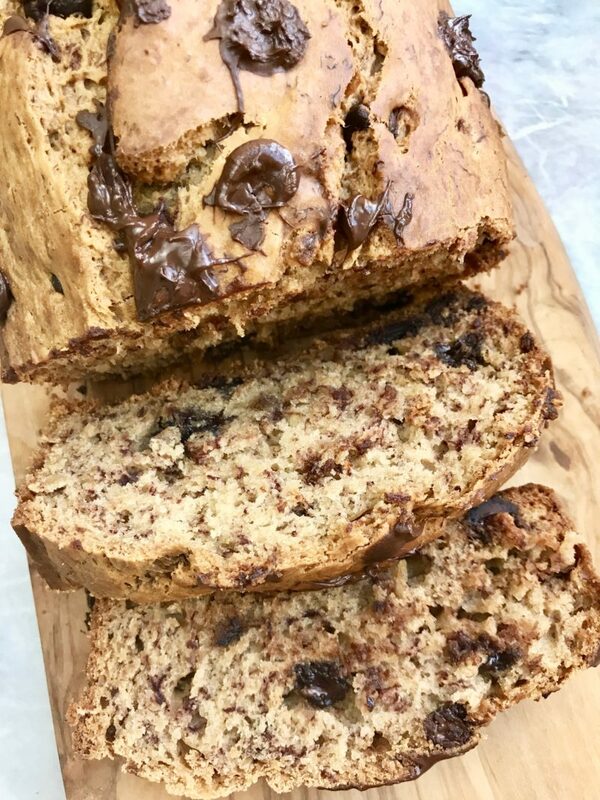 I mean clearly chocolate goes great with just about any dessert, but there’s something about it in banana bread that is out of this world. The key to making this recipe super sweet and moist is using RIPE bananas. I don’t mean a few spots, I mean beyond what you would feel comfortable eating alone. This way the bananas will be super sugary and soft meaning they’ll be easy to mash and make the banana bread that much better. I hope that you enjoy this recipe! If you make any of my recipes, don’t forget to tag me @plantbasedjane so I can see! Pre-heat your oven to 350 degrees Fahrenheit and spray a 9x5 loaf pan with some non stick oil spray. First, prepare your dry ingredients. Combine all your dry ingredients in a bowl and mix to combine. For your wet ingredients, first prepare your bananas. Take your bananas out of their peel and add them to a bowl. Mash them with a fork until they're well combined and mixed up. Add in your remaining wet ingredients and mix to combine. Add your dry ingredients to your wet and mix until well combined. Add 1/2 cup of your chocolate chips and fold in until well combined. Pour your mixture into your loaf pan. Add your remaining 1/4 chocolate chips on top. Place in oven for 1-1:15min. If the top of your bread is browning, cover with tin foil after 45 minutes and let cook covered for the remaining time. To know if your bread is done, place a tooth pick through the center of the bread. If it comes out clean, then it's ready. If there is still a little wet batter on the toothpick, place back in the oven for another 5-10 minutes. Keep checking until done. Thank you to Bob’s Red Mill for sponsoring this post. It means a lot to me to work with brands I love and support my blog!